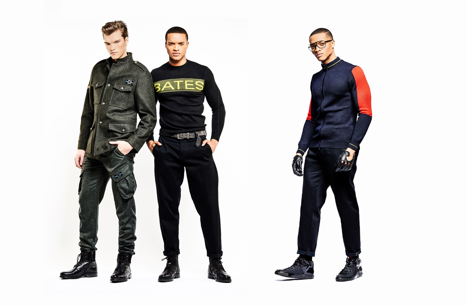 Christopher Bates, a renowned and highly respected Canadian menswear designer, will premiere his Fall/Winter 2018 ready-to-wear collection to the crowds at Toronto Fashion Week in Yorkville Village (55 Avenue Rd.) on Monday Feb. 5, 2018, at 9PM. The Fall/Winter 2018 collection is a marriage between formal and tech-sport with influences from alpine ski style and traditional military wear. Each piece tells a story through colour, featuring traditional fall shades including slate gray, rich navy and black. Additionally, the collection keeps classically Canadian colours in mind with bold pops of military green, hazard yellow and Canadian red. The Fall/Winter 2018 collection is made for the modern sartorial gentleman and incorporates an air of European luxury to classic everyday wardrobe. Highlights from the collection include textured wool suits, colour blocked Merino wool sweaters, down bombers and technical flannel pants, among others. Select styles from Christopher Bates available at www.christopherbates.com and www.harryrosen.com. Tickets for the Christopher Bates F/W 2018 show at Toronto Fashion Week are available here.